Steve Sxwithul’txw’s most recent television work is as host and producer of the APTN series Warrior Games. Steve is from the Penelakut Tribe located on Vancouver Island BC and his own production company Kwassen Productions. Steve has held a number of professional roles including a former police officer and news journalist. Having a passion for creating shows for television, he is now host of two TV shows on APTN called Down2Earth and Warrior Games. 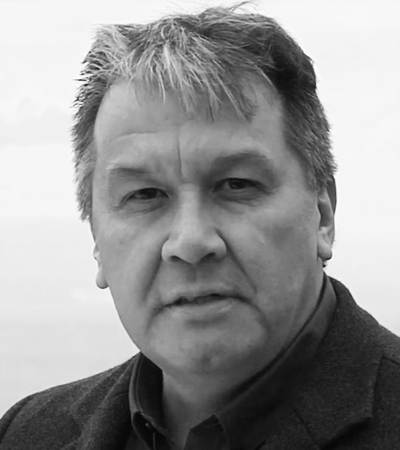 Steve also works with INDSPIRE which is a First Nations organization which promotes varying industry leading careers. He facilitates in-depth workshops to Aboriginal youth across Canada on careers in Health, TV/Radio, Mining and the Oil and Gas industry. Chief Deborah Doss-Cody has been a police officer since 1988 and spent her entire policing career providing service to the St’at’imc Nation. A member of Xaxli’p community in St’at’imc Territory, Deborah has proudly protected a geographical area of over 2.2 million hectares, an area larger than the countries of Israel or El Salvador. Constable Dwayne Honeyman was born in Merritt, BC, but grew up in Lillooet where he was raised on the Jones Farm, the site of the famed Sheep Pasture Golf Course. He graduated from the Lillooet Secondary School in 1995. He then attended the Lethbridge Community College where he initially studied to be a Conservation Officer. Constable Leonard Isaac was born and raised on Lower Nicola Indian Band, Nla’7kapmx Nation, Merritt, BC. He has been with the Stl’atl’imx Tribal Police since 2002. Constable Isaac did leave STP for 10 months to work with the Vancouver Police Department. Kathy Doss grew up in the Lillooet, in the Xaxli’p Community, St’at’imc Nation. She graduated from Lillooet Secondary High School in 1976. She attended the Native Education Centre in Vancouver in 1990 and was inspired to study at the E’nowkin International School of Writing in Penticton. Kathy and her partner reside at the Xaxli’p Community where they practice their traditional, cultural, spiritual beliefs as Uxwalmixw (People of the Land). Kathy has a daughter and four stepchildren, as well as five grandchildren. Constable Mitchell Thevarge grew up in D’arcy, BC in the N’Quatqua community in the St’at’imc Nation. His traditional name is Weet and his St’at’imc roots run deep throughout the entire northern and southern St’at’imc Territory. He previously worked in the Sea to Sky School district 48 as an Aboriginal Support Worker where he was responsible for implementing St’at’imc culture and history into the Pemberton Secondary School. He also provided additional educational, emotional, cultural, and life skills support to at-risk students.